Some reckon it’s in the too hard basket. Some reckon it will make their job redundant – ie. “If a piece of software can do my job for me than what other use do I have?”. Some reckon it’s just a marketing buzz word. Let me tell you what a workflow is, it’s just an automation, it takes what was hard before (“work”) and makes it easier (“flow”). A trigger event activates a particular action (or actions) to take place, for example if “Country = New Zealand’, send message “Kia Ora”. In essence, workflows help you perform personalised actions and communications at scale. Because workflows are based on triggering relevant and timely actions, based on context, they ensure targeting of the right message to the right person at the right time. Like most automations in life, it puts the time-consuming, mundane, repetitive or operational tasks on autopilot to increase your team’s capacity and reduces the margin of error or human error. Today, most marketing software offer you the tools to build workflows. Whether it’s Salesforce, HubSpot, MailChimp or Marketo. Workflows can help you automate some or all of your key processes, letting you focus on what you do best. Lunch. I was first introduced to workflows when I was working in a hybrid role a few years back, switching back and forth between my client service and business development hats. Sales one day, marketing the other. Lead generation here, lead management there. Meeting clients and prospects all day means a lot of time on the road and very little time in the office. 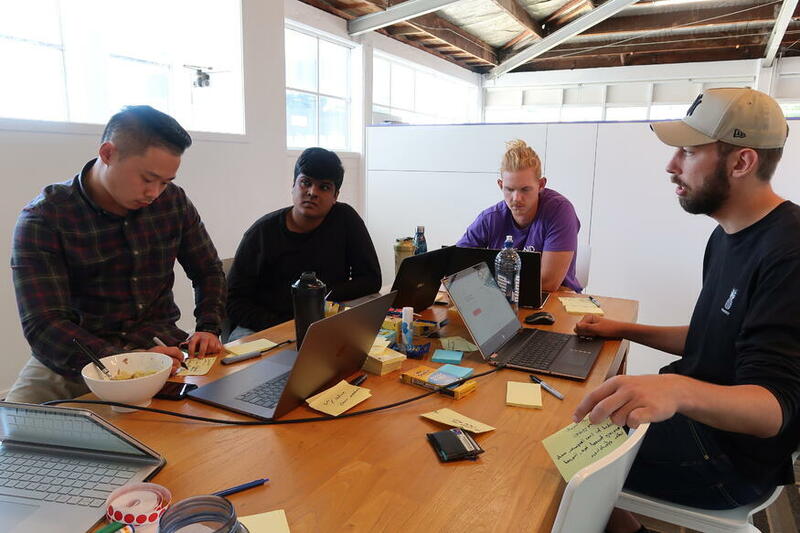 It was getting hard for me to keep on top of regular admin, emails, billing and more, let alone follow up with all the new prospects that were coming in hard and fast through the 50 Kiwi Companies for Growth Campaign that we just launched. It was challenging for me to loop back to all of our prospects in a timely manner, and when you’re targeting high value leads like we were, companies with 7-8 figure turnover, time is of the essence. We’re talking c-suites with the attention span of a three-year-old, walk and talk type guys and gals who can’t even remember what they had for breakfast, hate vegetables but live to trim the fat. If we didn’t follow up in time, they were on to the next. We learnt this the hard way too, losing out on an award-winning coffee brand, top finance company, an international law firm and a music industry mogul. All of it hit home and all of it was avoidable. One day, after a deep and meaningful with Liam, our resident workflow expert, he fumbled around like Mervin the magician and told me he might just have something for me. What the workflow does is quite simple. Whenever a new lead signed up through the campaign that had an annual turnover of over $1 million (trigger), I would get a text message (action) with their name, company and phone number to contact them on. Everything I needed to jump on the warm lead straight away. No longer did I need to worry about checking my emails constantly, worry about being within 3G coverage or pulling over on the side of a McDonald’s to use their WiFi. I could rest easy knowing that if a big opportunity came in, I would be the first to know about it. You see, every minute you don’t respond to a lead, the chances of them responding to your email, let alone your proposal, decreases exponentially. The Lead Response Management Study saw a gut-wrenching 400% decrease in the odds of qualifying new leads when reps waited 10 minutes or more to follow up, and the rate of success continues to decrease exponentially the longer it took to follow up. On average, the first response time of B2B companies to their leads is painstakingly 42 hours. And to add in one more jaw dropping fact: 35-50% of leads go with the business that responds first. This might sound like fear mongering but it’s not. From experience, people send the same message to multiple vendors at the decision stage and if you’ve mapped out your competitor/magic quadrant, chances are they’ve sent it to almost everyone on there as well. So you need a workflow that will help you move Knight to D-3, fast. The lesson here is that I didn’t need to focus on working more hours, hiring more sales reps or creating new internal processes. If it’s causing you pain, chances are there is a workflow for it that will help you work smarter not harder. Thanks to this one workflow we managed to close one of our largest contracts, an $100 million Australian Shopping Centre, all by calling first. If you’re feeling inspired, then take a moment to look around you. Which daily process, task-based admin or menial job is causing you the most pain or stress? How long is it taking you and/or your team to action it? How much is it costing you? Where would you go for lunch? Create a dynamic list that automatically updates to include contacts who are really engaged with your marketing emails or ‘evangelists. You can leverage this list to help share your content, promote your brand or create an exclusive offer to increase engagement even more. There are certain page visits and conversion events that indicate interest and intent more so than others. Create a workflow to trigger an internal email notification to your sales rep informing them of these high-value activities, while also creating a task for that event so the sales manager is across all prospects and the time it takes the team to follow up. Give the rep all the information they need about the lead so they can craft the best response at the best time. Great for kicking off your new relationship on a positive note and keep them engaged after they buy. A welcome email is sent out once they become a customer and then a few days later a personal follow up from the customer success team is initiated. If your product or service requires a bit of training, you can augment this workflow as an opportunity to introduce additional helpful training materials. Onboard your new team members with the fantastic culture you’re known for. Send a welcome email, followed by a set check-in or survey. You can even create a task or reminder for the manager to conduct a performance review at a specific date. If you’re at the frontline of customer support (whether internal or external), it’s useful to not only have an automation that creates tickets for certain trigger events but also follows up post-resolution with a customer satisfaction survey. This workflow will create a helpdesk ticket for pre-determined issues and follows up with an NPS survey email once it is resolved. Keeping your customers and your team happy.